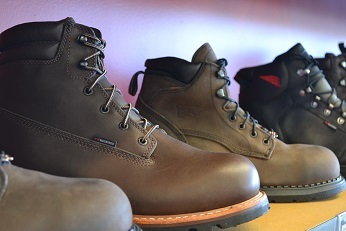 We impartially review the best, most protective and most comfortable work boots that you can currently buy online. In this Work Boots Guides category, we’ll talk about the main things you have to deal with when wearing a pair of reinforced boots. If you wear them day after day in your workplace for many consecutive hours, I think we know what that’s going to lead to – smelly feet. 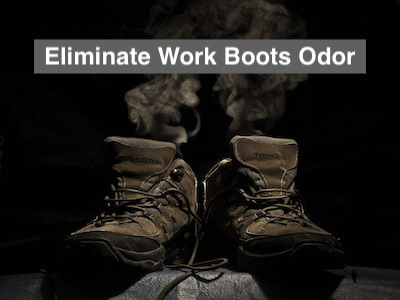 That’s exactly why we came up with a guide on how to eliminate the smell of work boots. I had to learn this the hard way – my wife can confirm that. If you’re looking for a pair of reinforced boots – steel, alloy, aluminum, kevlar – just a few of the most popular ones, then you might want to know what are the pros and cons of each one of them and which one would be the most suitable to you. Or, ANSI – ASTM standards. Another confusing, yet very important factor. Break-in period tends to be a nightmare as well. Fortunately, a few pairs of work boots are surprisingly comfortable from the very first use. Don’t get too excited, most of the work boots brands out there don’t offer that. 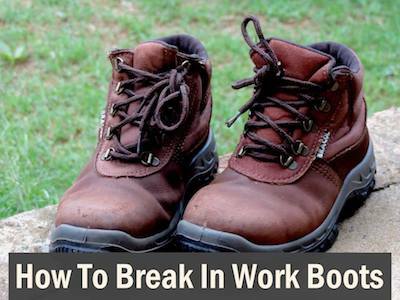 After all, it’s natural for a pair of sturdy, leather work boots to require a break-in period. So, read along and let us know what you think. Don’t hesitate to get in touch with us for any questions you might have, as well. Take care! Copyright © 2018 - WorkersLand.com, All Rights Reserved. WorkersLand.com is a participant in the Amazon Services LLC Associates Program, an affiliate advertising program designed to provide a means for sites to earn advertising fees by advertising and linking to Amazon.com.